You buy an expensive AC unit thinking it will guarantee comfort even on the scorching hot days of the year. It’s essential you hire a AC expert to install your air conditioner. In this article you will read about the benefits of hiring a professional for AC installation. Regardless of how extraordinary an air conditioning unit, you cannot completely rely on it unless it is properly installed and well-kept. Neighborhood repairmen are often preferred by most people to get their AC systems installed. When it comes to AC installation, just a little loophole in the installation can make your house unlivable. It additionally can cost you a fortune in the long run. These are just a few reasons why you should only hire a professional for AC installation. If the above-given explanation doesn’t motivate you to hire a professional, here are five benefits of professional AC installation. A professional understands which AC system will work best in your home. Before you introduce another air conditioner, you have to ensure that its energy levels coordinate the space it needs to cool. It additionally should be good with your current duct work and match other requirements that exclusively an expert can determine. Below are more benefits of hiring a professional for AC installation. Ac installation involves innumerable tiny details and elements. These include nuts and bolts, seals, space, and electrical associations. If these requirements are not taken care of, the air conditioner system’s efficiency will diminish. Moreover, it will lead to more strain on the system. That will soon bring about costly repairs and reduce the longevity of the air conditioner in general. Neighborhood repairmen are not trained and informed of the technicalities. They are not backed by guarantees either. So, if anything goes wrong, you solely have to bear the costs and deal with the damages. Since each make and model is unique, there are numerous things that ought to be professionally evaluated. You should make sure that your unit has the ability to cool your whole home adequately. That the suitable duct work is set up and that the provider is equipped with necessary tools and gear. 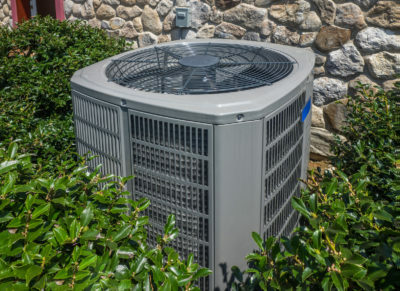 The experts at Climate Control Corp are well-trained, fully equipped, and have sufficient experience to lead through a successful AC installation. Climate Control Corp considers and understands the necessities of its clients and how to guard them with their new AC system. The experts know and meet the prerequisites laid out by city and state governments when performing such a task. These are benefits of hiring a professional for AC installation. If you are considering hiring a local electrician, the odds of facing costly repairs and emergencies in the future are high. Unless you are not concerned about your unit’s performance and lifespan, it’s something best left to the experts. Climate Control Corp Contracting goes the additional mile to guarantee your comfort in the hot summer days!